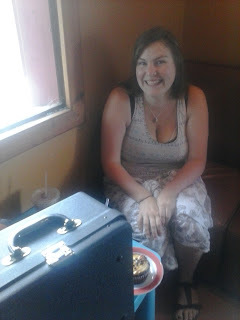 Jolene (@mujozen) from Eugene, Oregon is someone I know only through Twitter. and she suggested I check out the Goodwill store. When I reported back that the Seattle Goodwill only had electric typewriters, she replied that she had an old Royal typewriter that I could have, but I'd need to find some way of getting the typewriter from Eugene. Again, I asked on Twitter, this time looking for someone who might be headed from Eugene to the Seattle area. This time my friend Madi (@familyride) replies that her friend Elisabeth (@epsnider) is visiting family in Eugene and could maybe help out. Elisabeth, who I don't know at all, immediately replies that sure, she'd be happy to pick up the typewriter but she'll be camping down in Oregon for a while so would it be OK if I wait a bit for the typewriter. 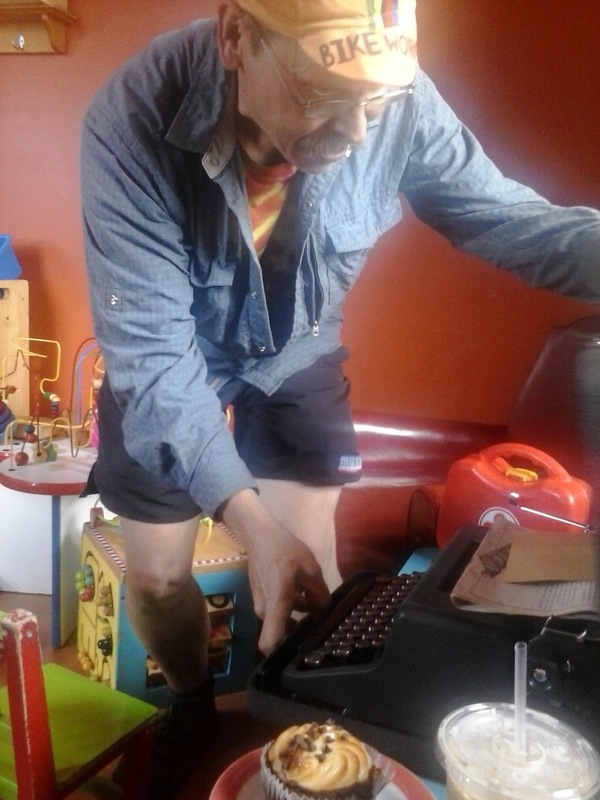 Of course this is OK. People I barely know or don't know at all are getting me a typewriter. And this is the point of this little story. There are great people in the world. Jolene, Madi and Elisabeth all went out of their way to extend some kindness towards me. Jolene told me she may tap me at some point in the future for some bike repair or advice and Madi says her kindness was "nothing". Elisabeth at least lets me buy her and her kids something at a Seattle coffee shop. Kindness is never nothing. I owe all these three women more than I can repay, but I'll try. Jolene said she'd only pass her typewriter on to "a real writer." I'll do what I can to earn her trust. Last week was the great typewriter hand off. 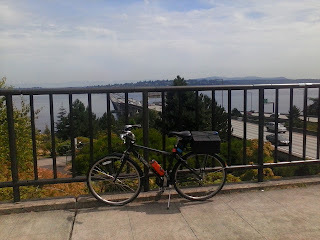 I rode my bike from Issaquah to Seattle. 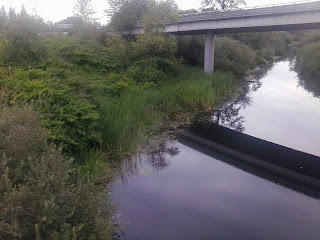 Christine's pal the heron was keeping watch at the Bellevue Slough. 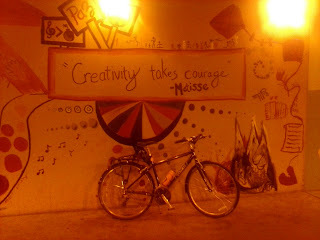 I noticed some new art in the I-90 bike tunnel. 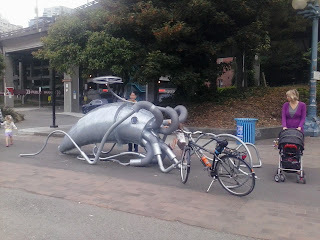 I checked out the parking squid's new location by the Seattle waterfront. I walked my bike across the Ballard Locks. Elisabeth and I met up at Firehouse Coffee in Ballard. I think she was as excited as I was. I got my first look at the machine I'd come to think of as "The Royal Baby." 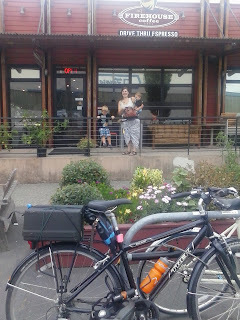 Elisabeth and her kids waved goodbye as I loaded the typewriter onto my bike. 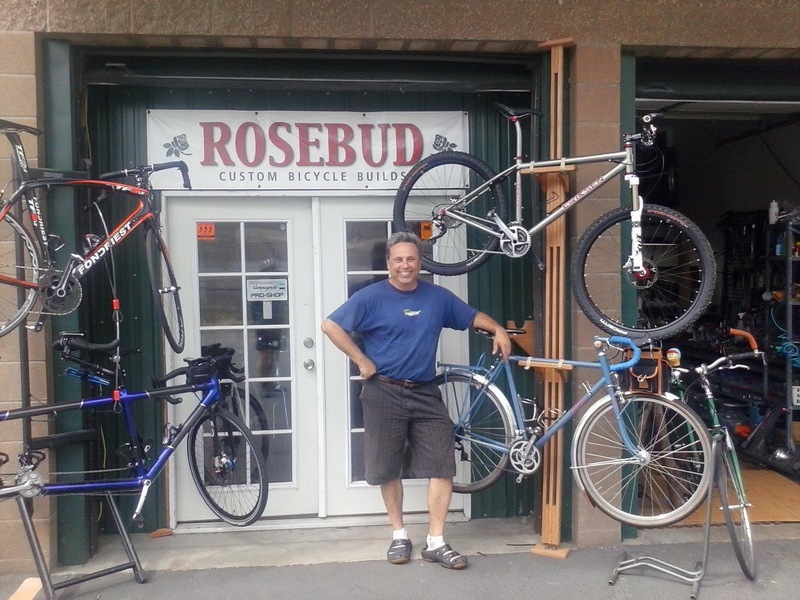 On the way home I stopped off for a visit with my friend Chris Cameron at Rosebud Custom Bicycle Builds. Chris is quite possibly the most meticulous mechanic in Seattle and he loves what he does, so we always have plenty to chat about. 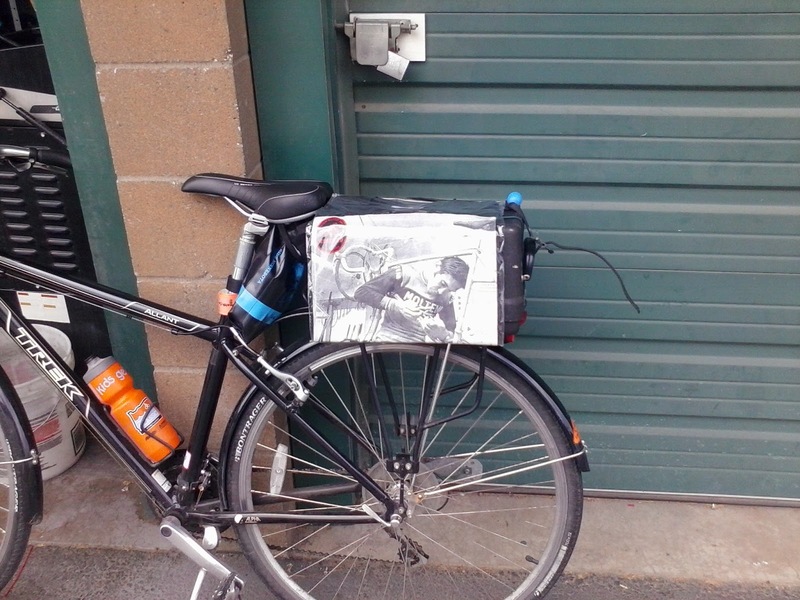 He sees the typewriter on the back of my bike and asks about it. "Can you still get ribbons?" "Of course. But why a typewriter?" "Great American novel. Something to be said to pounding words straight to paper." "I get it. What's the novel?" I gave him my jacket blurb, "He's a hyper-intelligent, telepathic raccoon. She's a homeless bike mechanic. Together they fight crime." "Oh man, you gotta write that." "I know," I replied, "Hence, the typewriter." "One more thing..." Chris said. "Put me in the book." 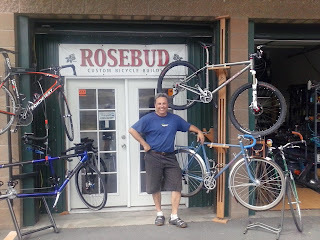 Chris also gave me one of his very nifty Rosebud bike shirts. 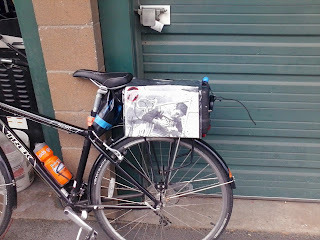 The image on it shows Eddy Merckx working on his bike. It was a beautiful day for riding. 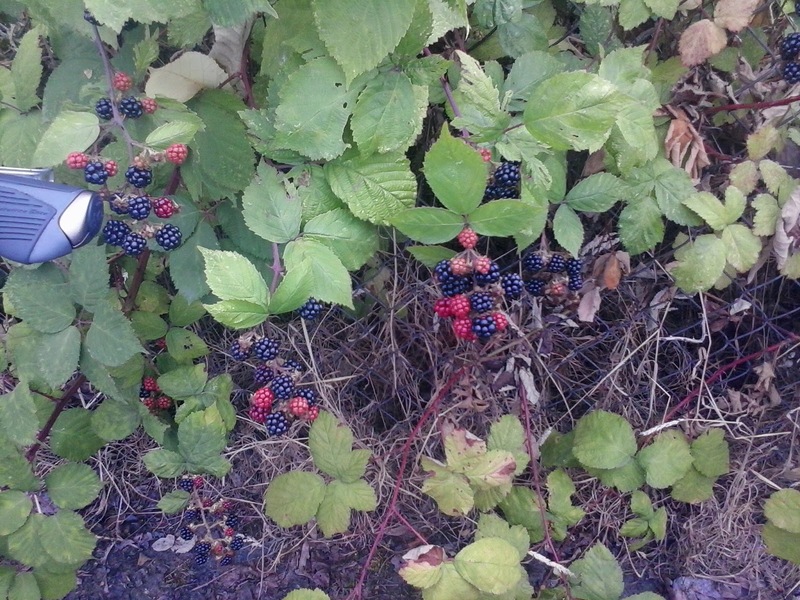 In August in the Pacific Northwest, bike fuel grows right alongside the trail. 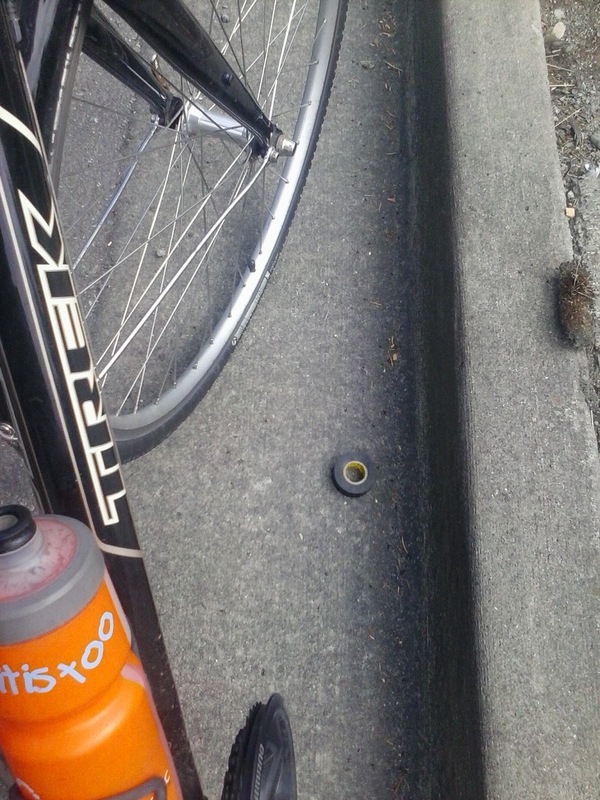 As if the day hadn't already given me enough, I found a roll of electrical tape on the roadside. 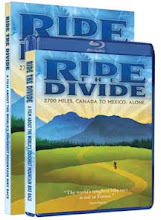 There are a lot of great people out in the world and a lot of great places to ride. Get out there and enjoy it. Right now, I've got some typing to do. By the way, the typewriter works great, except for the backspace key. I think that's OK, it's like the machine is telling me to push onward. We're going to ride the Octobike next week! THANK YOU!!! This is going to be lots of fun. Important instructions below. Please respond to this email so I know you are on board. I still need more people for all three runs, but especially for Saturday morning and afternoon. Tell your friends! They won't want to miss out on this. 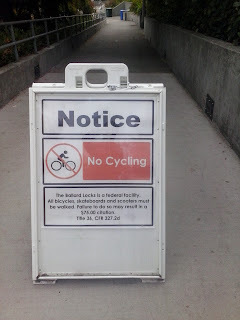 to the light rail station (Bike Works will buy your ticket). 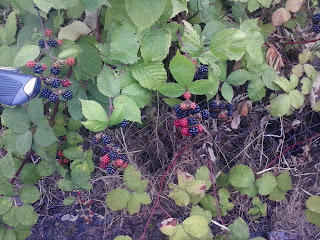 and then a short walk to Plum Street Farm where the Octobike lives. 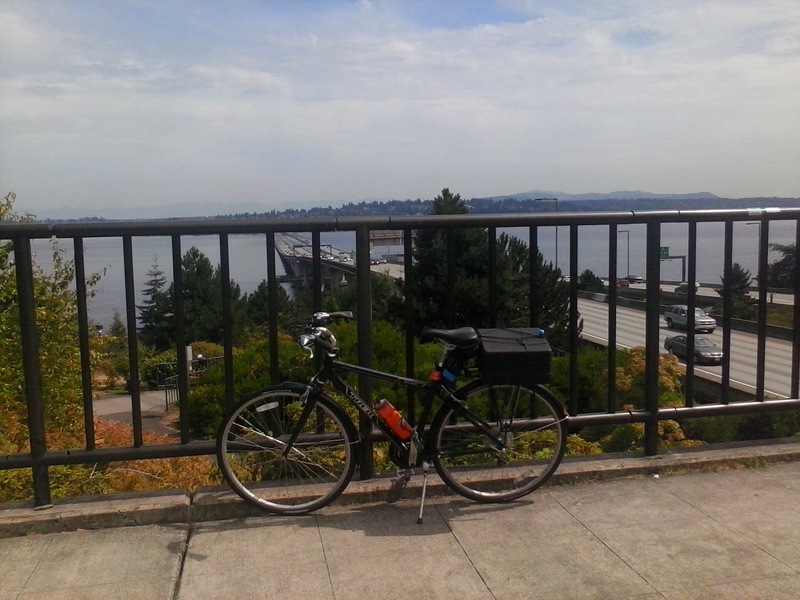 through Jefferson Park and then fast DOWN Columbian Way to Bike Works. We should be finished by 8pm. the Octobike. We will ride it in the parade down Rainier Ave starting at 11am. Plan to be festive, dress up if you feel like it. Bring musical instruments! which is a big party. I work weekends, so Thursday was the only day I could help out with this and last night we rode. 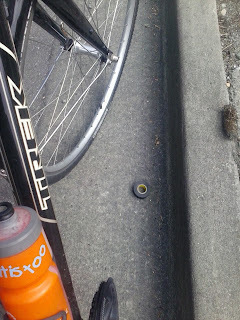 I took some pictures which are embedded below. It was a blast. Virtually every interaction we had with car drivers en-route involved smiles, waves, laughter and the phrase "that's awesome!" 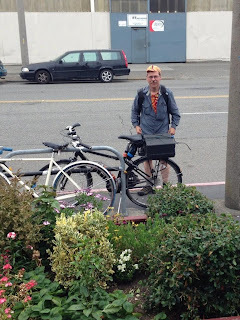 I began the ride on one of the three upright pedal stations at the rear of the Octobike, but switched to the center of the three forward recumbent spots for the last half of the ride. On the Octobike seven people pedal while one person steers, shifts and works the brakes. 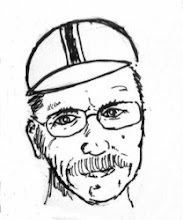 It's pretty easy pedaling, slow going up hill but you can build up some serious speed going downhill. I was in the forward spot for the descent so I couldn't see the speedometer but I know we were going at least 30 mph down Columbian Way. If you are in Seattle and ever get the chance to ride the Octobike, do it. Your next chance is this Saturday (tomorrow). If you can help out, email my pal Mark Caniaro ( mrk@mrkland.com ). Werner Herzog has made an amazing, powerful documentary. It's 38 minutes long and it's haunting. The subject is texting and driving. I've embedded it below, but if that link doesn't work, please seek it out on YouTube. Please don't text and drive. Life is precious.